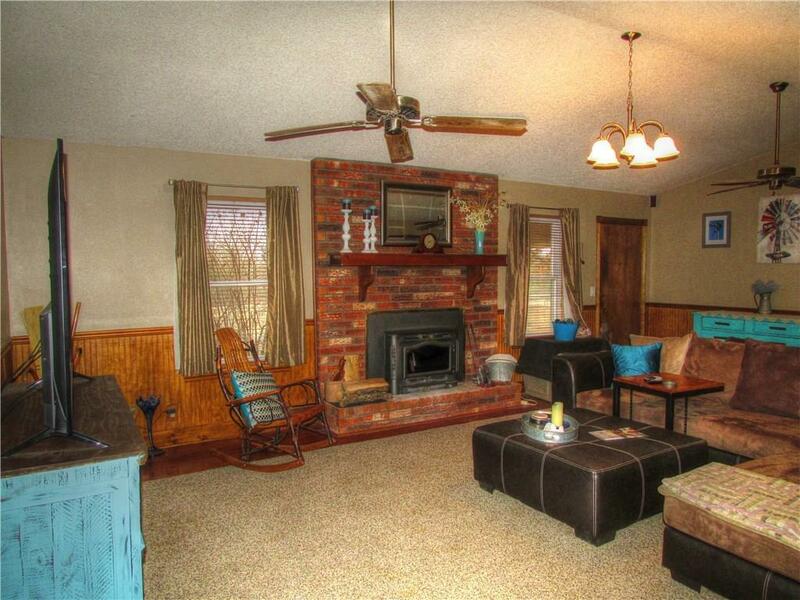 This home on 2.75 acres has so much to offer. 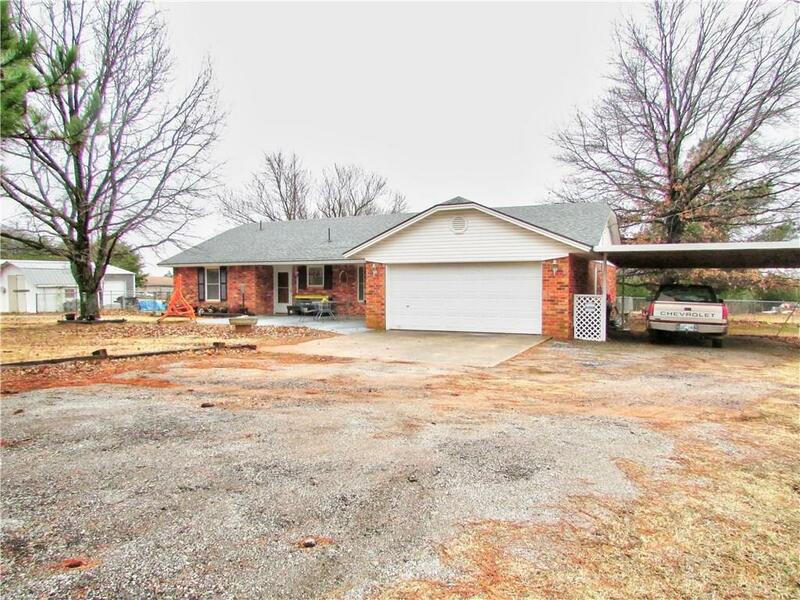 Comfy 3 bedroom, 2 bath with updates in kitchen, fireplace, roof replace in 2017. 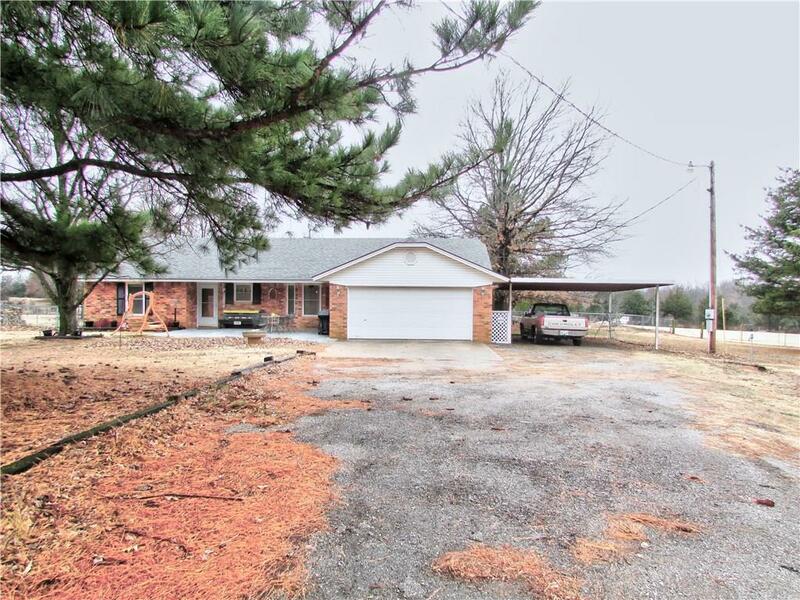 Very large trees, double gate to drive into the 30x40 metal shop building from road, another smaller shed, storm cellar under covered patio plus a safe room in garage. The garage has a wall to make extra room off utility inside house and a carport on west side. Offered by Teri Thompson of Berkshire Hathaway-Benchmark. 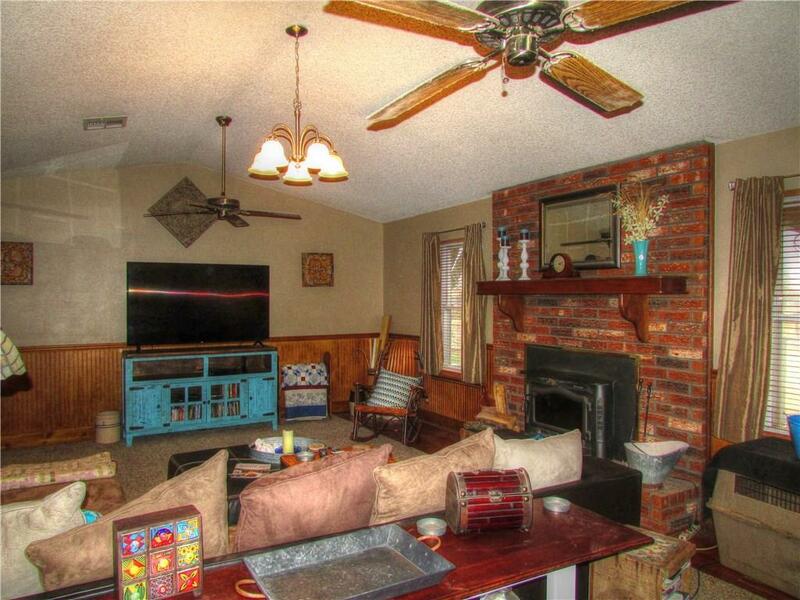 Listing provided courtesy of Teri Thompson of Berkshire Hathaway-Benchmark.